Vancouver's Bard on the Beach theatre festival has added a contemporary play to its 2013 season, a first for the festival devoted to the works of William Shakespeare. Vancouver’s Bard on the Beach theatre festival has added a contemporary play to its 2013 season, a first for the festival devoted to the works of William Shakespeare. Artistic director Christopher Gaze announced Saturday at the close of the 2012 season that Timothy Findley’s Elizabeth Rex, a play set in the England of Shakespeare’s day, would be part of the 2013 season. "We’ve consulted the community extensively in recent years, most recently by commissioning our own external market research study this past spring. 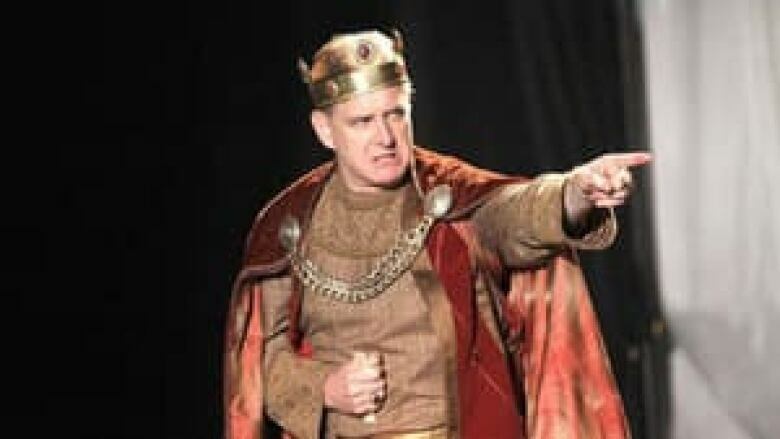 Vancouver theatre-goers have told us they are very interested in seeing us produce contemporary playwriting that references and illuminates Shakespeare’s world and themes, alongside productions of his classic plays," he said in a statement. Elizabeth Rex was the most successful play by the late Canadian novelist and playwright and involves a meeting between Queen Elizabeth I and an actor from Shakespeare's troupe who specializes in playing women's parts. Women did not act in theatre in Elizabethan England. Twelfth Night, one of Shakespeare’s most popular romantic comedies. Hamlet, the tragedy about the tormented young prince of Denmark. Measure for Measure, a complex comedy about justice and truth. Vancouver’s Kim Collier, co-founder of the Electric Company Theatre and recognized across Canada as a director to watch, will helm the production of Hamlet. Gaze also announced the festival attracted an audience of 86,000 in 2012, up 2,000 from the previous year. In 2011, Bard on the Beach renovated its Mainstage Theatre tent to seat 740 and improved its technical facilities. This year it also improved the audio system, Gaze said.